CAARE is investigating shockingly cruel experiments at the Medical College of Wisconsin (MCW) that subject animals to high doses of radiation, resulting in a slow and agonizing death. In one especially disturbing experiment, the point of the research was simply “to study the mechanism of death following a single lethal dose of thoracic radiation.” Rats were made to endure intense suffering, solely to document their decline. 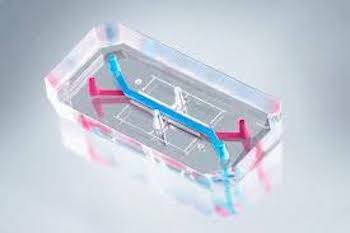 The painful and unreliable animal tests at the Medical College of Wisconsin can be replaced with technology such as organs-on-chips. Current research at Lawrence Livermore Laboratory in California is using networks of organs-on-chips to develop bioterror countermeasures and antidotes to toxins by using networks of organs-on-chips. This same technology could also be used to develop radiation antidotes. Send this EMAIL TO SOMEONE WITH POWER! It has been known for decades that intense radiation poisoning causes devastating effects on the body, leading to death. There is no justification for giving rats huge doses of ionizing radiation for no reason other than to record its effects. Rats suffered for 5 to 8 weeks before they died in prolonged agony, struggling to breathe from dying lung tissue and a failing heart. Post mortem analysis showed that the weight of the rats’ lungs more than doubled, due to excessive fluid build-up in the lungs. 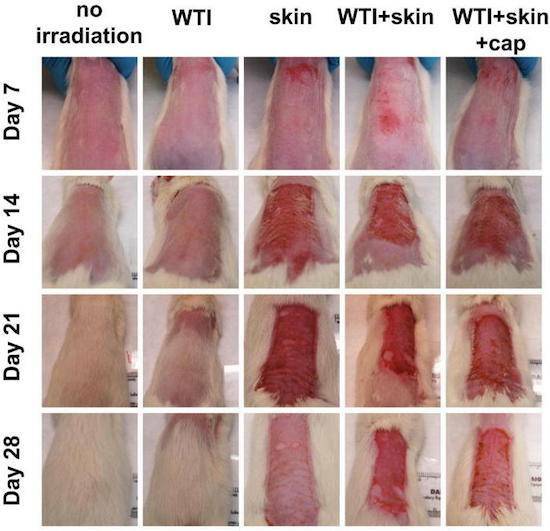 Another experiment at MCW exposed rats to whole body irradiation followed by a second dose of radiation to the skin, to study the combined effects. Ten week old rats were shaved, immobilized in a plastic tube and irradiated at high levels while fully conscious. Three hours later the skin was also irradiated. Photos from the publication show that the radiation caused extensive burns. No pain medication was administered. The IACUC criteria for euthanasia were inexcusably inhumane, specifying that animals must first exhibit “severe emaciation, with prominent skeletal structures” before being considered for euthanasia. Many died before meeting the criteria. According to MCW’s own research, “Very few countermeasures … [using animals] have demonstrated efficacy in irradiated humans in trials on cancer patients receiving radiotherapy. ” To date animal research has not let to any definitive methods to combat radiation injury in humans. This is why scientists are turning to non-animals methods to boost efficiency and derive more human-relevant results. CAARE recently reported on research at the University of Virginia, School of Medicine, where researchers are investigating antidotes to radiation by using human non-embryonic stem cells exposed to ionizing radiation. Please send your email today to oppose these terrible experiments on animals at MCW that are horrendously cruel and fail to align with 21st century human-relevant research.